Description: The International Baccalaureate Program for the Primary Years focuses on the development of the whole child as an inquirer, both in the classroom and in the world outside. It is a framework for curriculum and assessment that is guided by six transdisciplinary themes of global significance, explored using knowledge and skills derived from six subject areas: language, mathematics, arts, science, personal, social and physical education, and social studies. There is a powerful emphasis on inquiry-based learning, which serves to accelerate and differentiate the curriculum for all learners. This depth and complexity of the core curriculum offers independence and exploration that serves as a challenge for our most gifted students. 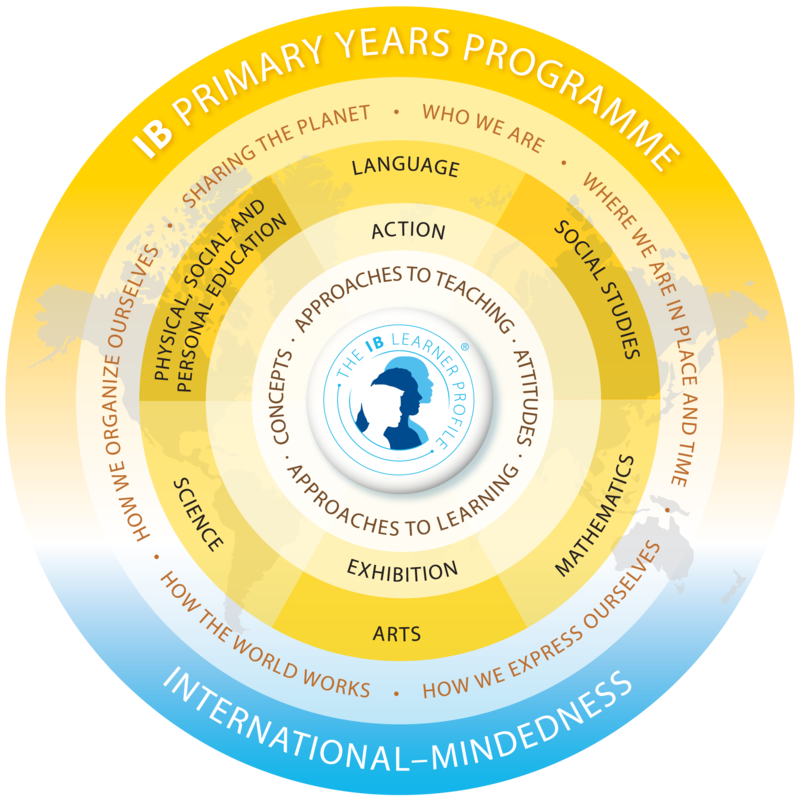 The mission of the IB Program is to develop inquiring, knowledgeable and caring young people who help to create a better and more peaceful world through intercultural understanding and respect. As an IB World School, the IB program and mission statement form an umbrella that links all school and community activities at McKinley. Our goal is to continually develop and strengthen all aspects of our learning environment and school culture to reflect high-quality, rigorous, and challenging educational programs for our entire community. The PTC supports the IB program by assisting with funding for music, Spanish and art programs, learning opportunities through field trips and assemblies, technology support, campus beautification and materials.